On 13th August UKAFH revisited King’s Dyke Nature Reserve, near Peterborough. We were originally due to visit Hampton Vale lakes but a recent site visit by leaders revealed the site to be overgrown and unsuitable. We put our members’ safety and enjoyment first so relocated to the popular and highly productive King’s Dyke location. The quarry owners kindly replenished the spoil heaps for us so we were certain to have the best opportunity to have some great finds. The places on this popular hunt quickly filled up so we had a full house with leaders Aidan, Chris and Sam. We seem to have been extraordinarily fortunate with the weather on pretty much every hunt this year and this was no exception – glorious sunshine all day! After everyone was kitted up and sun-creamed we headed down to the dedicated fossil-hunting area and Aidan gave the group an introduction to the fossils that can be found in the middle Jurassic Oxford clay extracted for brick-making from the adjacent quarry. The commonest finds are ammonites (especially Kosmoceras), belemnites (especially Hibolithes) and gryphaea, an oyster often called “Devil’s toenail” because of their curled, scaly appearance. 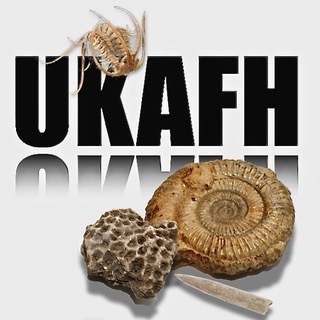 The location has an enormous quantity of fossils available and they are very easy to find, making it equally perfect for beginners who want to take home a treasure or two and for old hands who want to find something special, be it a bone, fish remains or a particularly large, complete or well-preserved specimen. No-one was disappointed! The sunshine made it easy to scrutinise finds and the clay was crumbly and quite easy to work through.Soon we had some good finds turning up including a reptile tooth found by Aidan Philpott and a coprolite found by Nicky Parslow. Chris Bite found some really nice ammonite blocks and belemnites and Aidan struck gold with a fish head and fins which had previously been dismissed as an odd-looking belemnite by a group member. Most people hoped to find bone and we were hopeful, however only one member, Xiang Yan, got lucky – but what great luck! A really superbly preserved plesiosaur vertebra was a prize find of the day. As events drew to a close we received many kind remarks from attendees who commented on how they had enjoyed their day and were pleased with their finds. We always love to hear your comments and see pictures of your finds, whether from one of our hunts or your own forays so please do share your news on our website and facebook pages! Many thanks to Aidan and Chris for leading a great hunt. Next outing is Ramsholt on 2nd September, which is fully booked, but we still have places available on our hunts at Seatown, Dorset on 10th September, Folkestone and Samphire Hoe on our 14th and 15th October weekender, Staithes, North Yorkshire on 22nd October and Warden Point, Sheppey on 12th November.